In our last post we discussed moving content to a new host. This post will focus on moving content to a new domain. Before you take this significant step we encourage readers to evaluate this step carefully and plan the transfer. Regardless of what you do, your traffic stats may suffer and you may lose some revenue as a result. 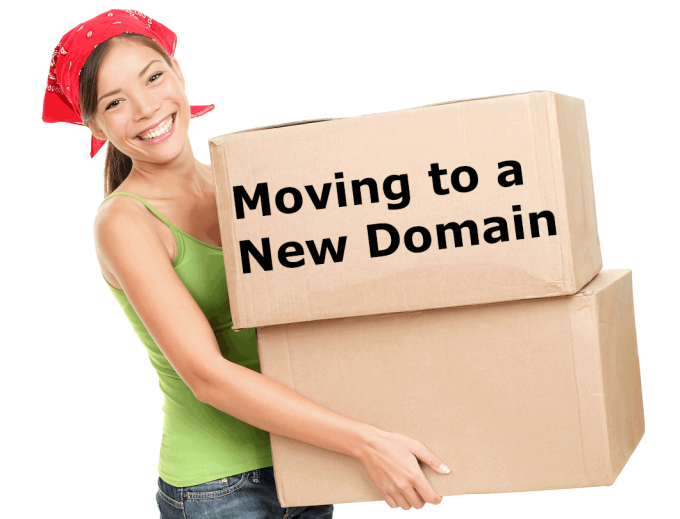 Once you have decided to change domains, plan it around a low traffic period or time frame to minimize the impact of the overall move. There are steps that can be taken to minimize the overall impact, although often the reason to move content to new domains is usually because the content is old and not generating the kind of traffic you are looking for. The first step is to set up the new domain. 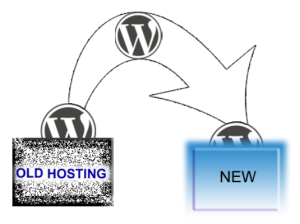 Point it to a hosting address which you have configured with a content management system such as WordPress. You will have added the appropriate theme you want to use. Also configure the widgets that you plan to use on the new site. Test your new site to ensure that it is working in the manner you wish. Create one or two posts and pages before submitting to google and others for indexing. Next evaluate your old content. Anything that is out of date or poor quality you should either rewrite or eliminate before the transfer. You may also want to eliminate content that is not generating the amount of traffic that you are looking for. Once this step is completed, it is time to export all of your content into a file. Import the content into the new content management system attached to the new domain. Make sure you include all images and videos as well as part of the export or via a separate manual transfer. Once the content is imported, test every link, every page and every post. You may have to implement 301,302 or 404 redirects to make sure that the search engines can find the new location for the content. Alternately submit your sitemaps to Google etc and patiently wait until the content is fully indexed in its new home. There are a variety of business reasons to consider moving content to a new host. These can include better response times, better service, lower prices, consolidating content on one host etc. It can be a lot of work and also problematic if not completed properly. It is also much easier if you are using a content management system such as WordPress as depicted in the diagram to the left. Either way, planning is key to your success and operation of your web site on the new host. We will cover some of the broad steps required in moving content to a new host in the following paragraphs. The first step is to prepare your new host location. Once you have been provided with a new address for the host, set your directories. You can then install your content management system. Host providers such as Godaddy will provide automated installation and set up processes. These processes make it easy for installing many of these content management systems including WordPress. Next configure WordPress on the new host to duplicate your existing one. Add all the appropriate widgets and adjust the settings as needed. Add your theme, and any other custom changes that you may have added. This may include Google adsense in your widgets for example or other forms of advertising that you may have on your site. In the next step you will want to go to your old site and export all of the posts, pages, images and videos that you have on your site. If there is other content of some kind that is not captured by the export using your content management system, you will need to transfer this content manually. Usually this is done by transferring to your local computer and then to the new host. Now that you have exported the content and transferred to the new host you are ready for the next step. Go to your domain management system and repoint your domain from the old host to the new host address. You can get the information needed from your new hosts management system. While entering the data will be immediate, it can take up to 24 hours before the systems, routers etc have propagated the new address and starts to point to the new host from the old host. Import all of your data that was exported and begin testing to make sure that all pages and posts along with other functionality is working properly. Only when you are sure that all is in working order should you erase the old content on the old server. You will want to continue testing especially after you have erased the old content to make sure everything is working properly. Before erasing the content on the old server, I will often rename the top directory to confirm that the domain is actually pointing at the new host. If you get an error you know that something is not working properly. The last step is to erase your content and terminate the host arrangement you have with your current hosting provider. Good luck, plan and verify each step before executing to make sure that each step is ready to go.